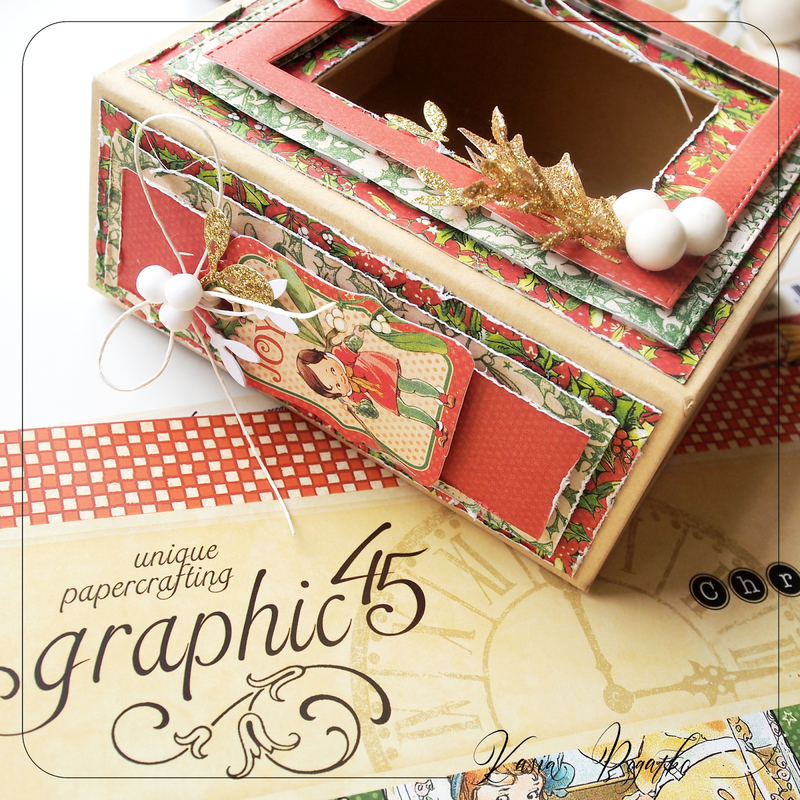 Today I have for you a simple Christmas box with beautiful Graphic 45 collection - Christmas Magic. I used Matchbook Box as a base. 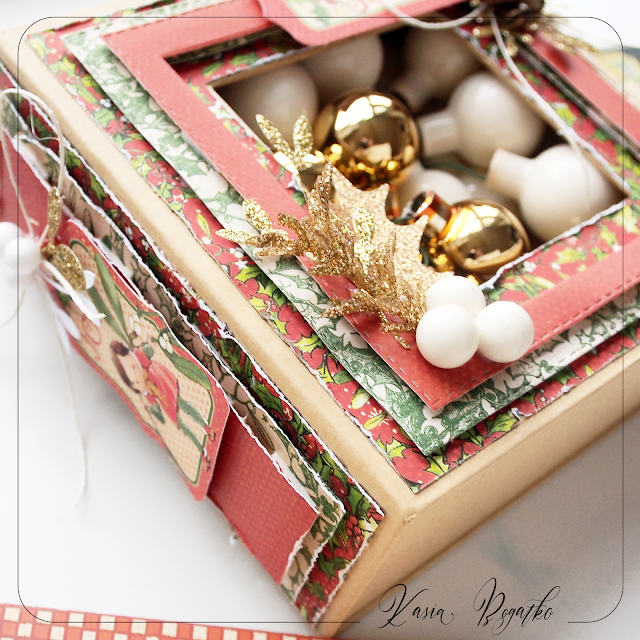 This box can be a beautiful package for a Christmas gift, or a gift in itself. 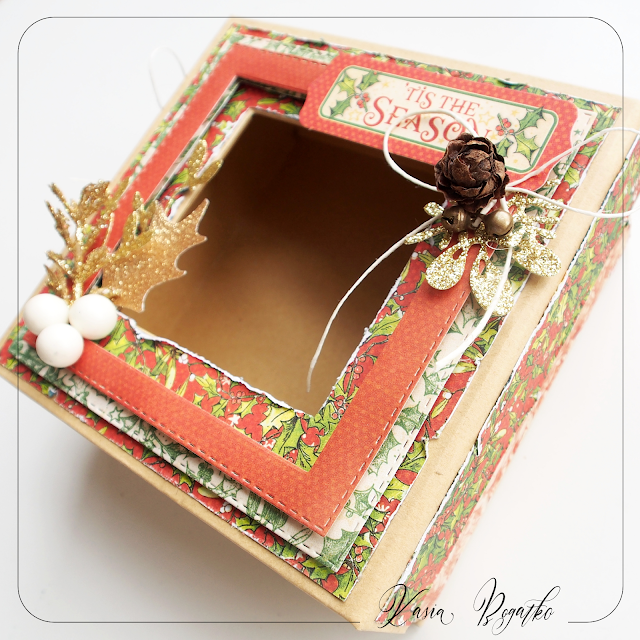 Or maybe you'll put Christmas decorations, sweet pastries or cookies in it? 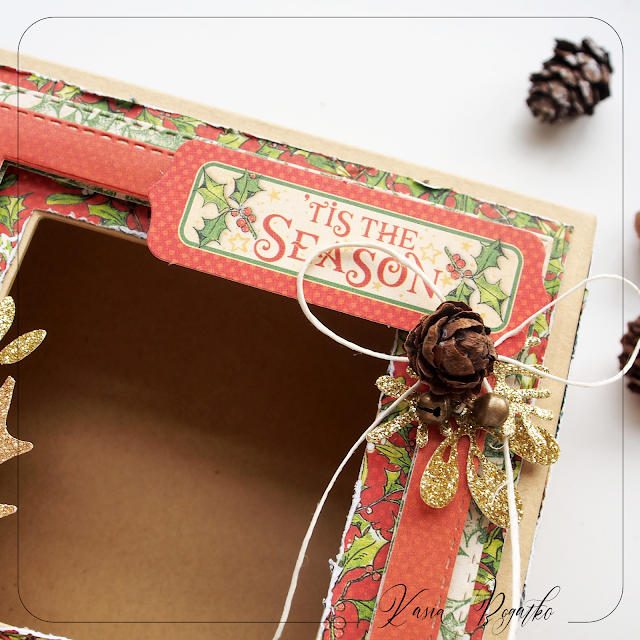 Surely everyone who receives such a box will be delighted. 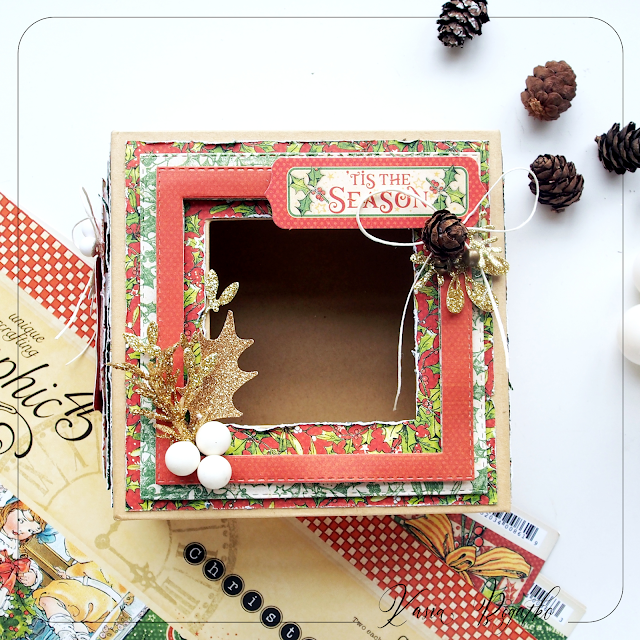 Try to make the box yourself. Just a few squares of paper in different sizes. If you have a box with a window, cut it also in paper, if not - leave it as a whole. Sticking, use foam tape, thanks to which the project will gain depth. 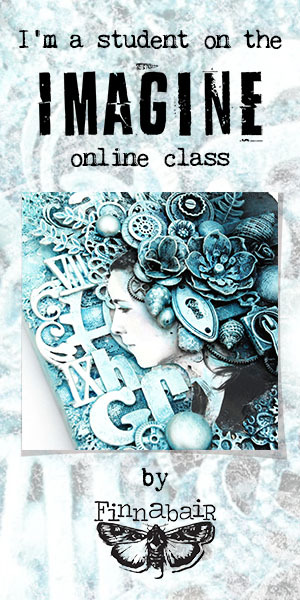 I really like this 3d effect. 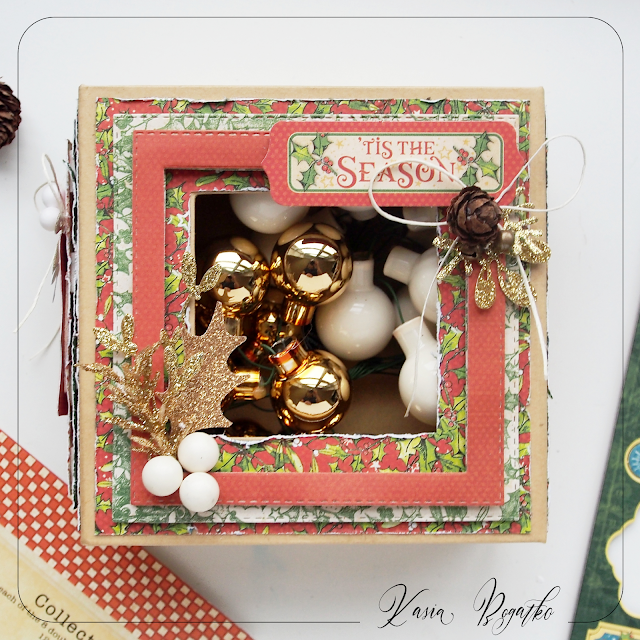 As decorations, use Christmas twigs and mini baubles, die-cuts or chipboards from the collection and your box is ready.